What follows is a transcription of a conversation with two men recently detained in Alberta, Canada. The men—who prefer to be known only by the aliases “Bedrock” and “Shale” (a preference we have respected, though their true identities are readily available to curious minds as a result of details made public by various agencies)—were apprehended near the U.S.-Canada border on November 29, 2012, and are fighting the Canadian government’s efforts to turn them over to to U.S. authorities. The men had aroused the suspicions of two members of the Canadian Borders Service Agency when they were spotted using three humidifiers and several box fans—all attached to to a jerry-rigged lawnmower engine—to blow steam towards the U.S. An examination of the liquid in the humidifiers found no toxins in the water—only a mixture of peach juice, olive oil, and hydrogen peroxide. “Bedrock” and “Shale,” who were determined to be U.S. citizens with no passports, refused to respond to the Borders Service Agency’s questions and are currently scheduled for deportation by the end of the year. Neither “Bedrock” nor “Shale” wanted us to associate any words with either one of them specifically (“We don’t speak for just us in the first place.”), and so we have indicated shifts in speakers through line breaks only. What you have to understand is how these things come about in the long run in this country. And I do say this country even if we are not now on its soil. You see, there is an implant in the back of your neck. Copters are tracking you by it. Everybody. You need to get it cut out of you if you really want to be free. But that’s if you really want to be free. Just get a buddy you trust—who’s on the same page with you—to do it. Drop it in running water, a stream, something like that. Water is the key. But don’t carry it around, or keep it as a keepsake. It’ll get radioactive—then you’d have another problem. To make a long story short, sometime around when seatbelts and hunting licenses appeared there’s been an attack on freedom in this country. Now, what we think of freedom is really systematic slavery with benefits. Cars and TVs and what have you. But we don’t notice it because of the inoculations they put into chocolate and jelly and other stuff we like. Stuff that children eat because that’s when they want to get you—young. Then they put it in other things as you get older, but it’s those early inoculations that really set the course. They call it a three-course meal. The government calls it that. So really there was never a question in our minds that freedom was going to be constricted even more once they came out into the open a few years back. The real question was what are we going to do about it. The “w” and the “e” of “we the people.” So that’s why we have made plans which we are willing to share because while we are interested in our own survival we are also interested in the survival of all people who love freedom because that’s the only thing that really can get us back. Get us back to what America was supposed to be. It’s called PLAN 12. As in the 12 Apostles spreading the word. We would like PLAN 12 to be widely publicized in an underground kind of way. Get it on the Internet, the TV, wherever. Get it to the cities on the cell phone screens. Fight the subliminal with the subliminal. Make it so the government can’t stifle it. There needs to be an army of folks who are willing to say they are willing to fight for freedom but also willing to stay safe and active. You understand? So what happened was, we went underground after that final sham of a debate. Personal preparations, you see. Didn’t come up for two weeks. Did mind strength training because there’ll be a lot of time underground we suspect. Just sitting. Organized the canned food. Played solitaire. Perfecting PLAN 12. Every day our minds are getting stronger. Then we came up and set the trip wires with the mild explosive. We only had mild charges because we didn’t want to kill anybody because of the murder charges you get because you can’t protect you, yourself, and your property anymore and “the victim’s the criminal” and all that—at least right off, before the combat begins. But when the hammer comes down, we’ll move on to larger devices. But in the beginning, we just want them to know we’re here, now, that we’re not standing for it. No UN, no New World Order, no army of atheist Muslims led by the Devil himself! None of that was going to take us without a pronouncement that where we are there’s going to be resistance. Endurance beats firepower in a siege, which, come on, we all know this is what this is. We all know. Ever hear of Vicksburg? Waco? We made sure we had fuel in the Cessna. Fuel wasn’t easy to come by—for those who hadn’t planned. But we had. 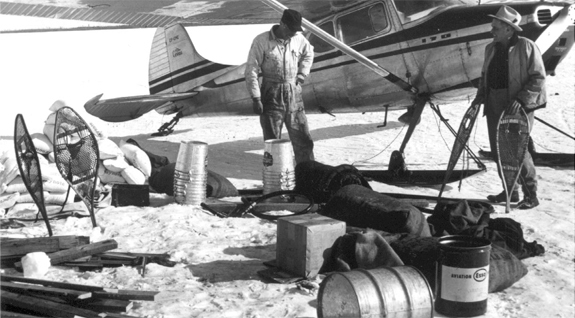 So, there you go, fuel was in the Cessna. What next? Draw the curtains on the inside. We had to fly low—less than 10,000 feet—shoot, less than 7,500 feet—to prevent radar pickup, but they have the new retina detectors can find you up to 10,000 feet—unless you’re using curtains on the plane windows. Not just any curtains, neither. Got to be black asbestos on the front like they use to wrap the pipes of old buildings and then you line black velvet on the insides and on the back window if you got one. We didn’t have one. But most planes don’t though, anyway. That left us vulnerable to government zeppelins, if there’d been any. Lucky for us there wasn’t. When we took off we calculated a five percent chance of government zeppelins that have those laser beams that the military don’t talk about. Of course they’d be wary to risk exposing laser zeppelins to the public because they’re saving them for China. So we knew the chance of us encountering one was small. Not a big chance but nothing to sneeze at either. Hell no, it’s not. We flew on instincts and instruments. See, we didn’t go to some school and learn our instincts away. No sir. Surviving and reading ain’t the same word. Don’t even have the same letters. No sir. Just “i.” And I don’t read. I survive. Still, about fifteen minutes in—and we’re in international air space mind you—we sense people is sensing us. How? Through these—now this is really something no one knows about so it’s good we’re getting it out there—they seed the air with microscopic synthetic fungus spores that contain a saline solution that makes them become listening devices. People sensing us is big time counter to our goals, so we decide to bring the Cessna down. Now, it’s loaded up, so bringing it down wasn’t going to be easy because you have to understand we’ve got the two of us in there and we ain’t especially light plus a whole two seats worth of supplies: cans, water jugs, extra fuel, gasoline, a lawnmower that we planned to convert the engine of into a generator and motion detector defeater. We see the Denny’s parking lot. That’s good. Problem is, we’re only pretty sure it’s a Denny’s but there’s also the possibility it’s an IHOP. What’s the difference? Plenty, to be sure. But we got to bring her down on account of the fungus. We start to bring her in—then we notice it’s not a Denny’s or an IHOP but a Shoney’s! Shoot, neither of us have landed in a parking lot like that. We don’t know the specs and what have you. So we cut the engines and decide to coast deeper into the great white north and find a rural area avoiding any sound detection or any neighbors that may be capable of scaring easy. Barking dogs that kind of thing. About twenty minutes past the Shoney’s we land on an open plain. It was clear to us we were in a foreign land. Air smelled different. But we know where we are, country-wise. Canucks got treaties with Uncle Sam and after he hands them the cash they’re not going to begin to anger the beast if you know what I mean. The beast has been empowered! They’re not going to anger him. It was a rough tumble landing, let me tell you. One of the wings hits ground-wise, but basically all goes okay. Cover her up in leaves and tarpaulins. Dig us a hole with the spades. Took about five days. Then we bivouac a camp. But we don’t sleep. This is where the mind strength comes in so handy. We stay awake. When we need to rest, we stand with our eyes open but we power down the internal motor so to speak in layman’s terms. No one came by, though. But we did hear what was probably a drone because they’re flying around spraying Adderall up here. Everybody knows that. Heard some news on the shortwave about things down in the States. Media reports all saying basically the same. We imagined the tanks had rolled in after Fox called Ohio for the Democrat but they weren’t saying for fear for themselves and so on. Probably reading the news with a G Man standing right next to them telling them what to say on a word-by-word basis. As it happens, we venture out one day and come upon an old barn, then a larger farm field. A gentleman and his Mexican boy—but a good boy—were willing to take us in once we explain the what have yous to him. We set up, connect to his system—through encryption of course. Start blasting back information to all who can still access what’s going on. Start the rise up that way. We still have connections to people in some states won’t tell you which ones obviously for fear for their safety. Can’t reveal what’s to come, but don’t go shopping for canned fruit cocktail in the Southwest anytime soon that’s all I’ll say. That’s not saying anything anybody don’t already know, though. Eddie Lombardi is a writer living in New York. An excerpt from his novel, Frinky, appeared in the fall2010 issue. Todd Pate is a writer and actor. An excerpt from his nonfiction novel, Down the Road with the Rest of America, appeared in the summer2012 issue. His short story “An American Ghost Murder,” appeared in the fall2008 issue. He lives in New York, where a number of his plays (including Too Far Gone out in the Middle of Nowhere) have received production.